Our four-day comprehensive textile tour will give you an exclusive behind the scenes and hands-on experience of Norlha Textiles. During our Fiber to Fashion Tour, we will begin to unravel and answer two vital questions to this sustainable fashion brand "why yak?" and "why in such a remote village on the Tibetan plateau?" Founder Kim Yeshi's dream had always been to do something to help the local nomads on the plateau and looked for a product that could utilize their craftsmanship and their raw materials once again. Yak wool seemed to be the binding factor to combine Kim's passion for textiles and her ideas for sustainable development. From the animal in the pasture, to the gifted hands of their artisans, Norlha's product is a result of the rich heritage of the Tibetan Plateau. With an ardent objective to keep employment in the village, their approach to sustainability is to support the local nomads by providing them with sustainable employment opportunities and a stable income, to keep families together and traditions alive. In a world where fast fashion dominates, they offer a product that will last a lifetime, and that will be shared with generations to come. You are invited to join our textile tour experiencing the rich traditions of the Tibetan culture, which Norlha so passionately strives to preserve, explore the famous Labrang Tashi Kyil Monastery and visit the Lungta local nomadic cooperative. Our textile professional, Laura Shirreff, will guide us on this journey of a lifetime. We will visit the atelier at Zorge Ritoma, where we will engage in extensive dialogue with the founder of Norlha, Dechen Yeshi, learning about the intricacies of Norlha from the fiber to the finished product. We will also get the rare chance to experience the exclusive Norhla fiber first hand through a hands-on felting activity. During our tour we will also have the opportunity to relax and recharge in the awe-inspiring natural environment and enjoy the luxuries and amenities of Norden Camp. Norden Camp offers urbanites from around the world the rare opportunity to experience authentic Tibetan culture in complete comfort. 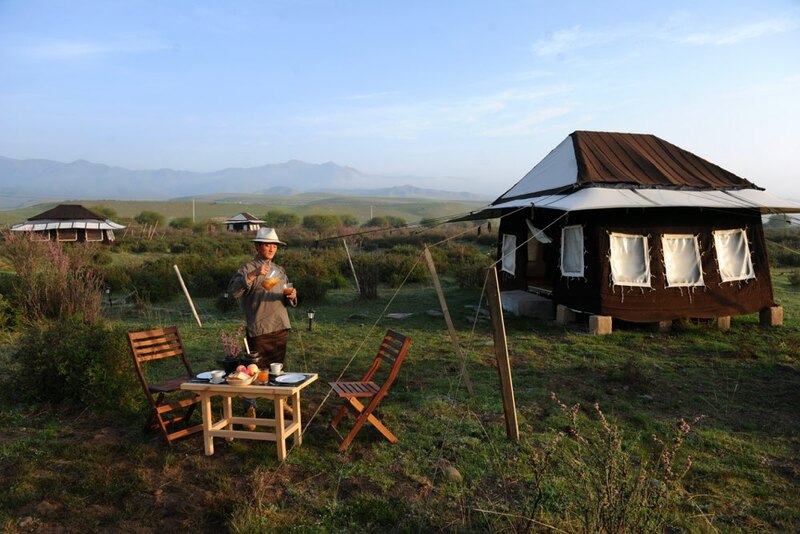 Managed by and for the benefit of grassland nomads, Norden Camp operates sustainably, without compromising the existing Tibetan Buddhist culture or our spectacular natural environment. Located at 3,200 meters (10,500 feet) above sea level, Norden Camp is situated 20 minutes outside of Labrang, the famous Tibetan monastic town in the Tibetan Autonomous Kanlho Prefecture, Gansu Province, China. The 11 hectare (27 acre) site borders a meandering river and is home to gazelles, hares, marmots and foxes, and visited by a vibrant array of migratory birds. 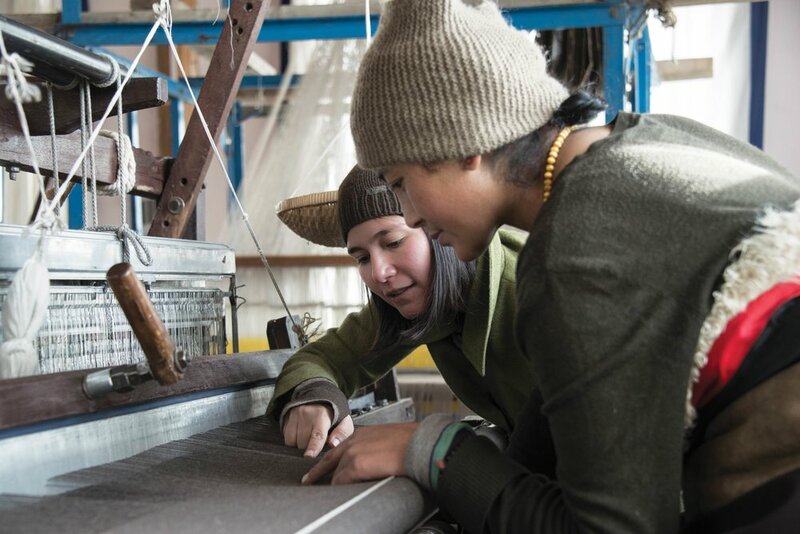 Norden Travel and Norlha Textiles' mission is to generate sustainable employment for former nomads while offering exceptional, uniquely Tibetan experiences and products. With nomadism on the decline and in a fragile state, Tibetans are often left with no choice but to move into the large cities to search for work. Norlha and Norden's employment and skills training allows these Tibetans and their families to stay in their home villages, keep their traditions, and give to the world a product and experience they are proud of. Your participation in the retreat directly supports these initiatives. Rooted also in environmental sustainability, Norden chooses eco-friendly practices. During the winter months, when the camp is closed, the yak hair tents are dismantled and the land returns to grazing pasture. In a world where fast fashion dominates, Norlha offers a product that will last a lifetime, to be shared with generations to come. Laura was born in the US and was raised in the UK. Studying at an international school, her passion for weaving, yoga and Asian studies began at sixteen years of age. Since then, more than sixteen years later, her passions have remained intertwined. Laura continues to deepen her knowledge and expertise through her professional as well as her personal practice. Laura graduated from Rhode Island School of Design with a BFA in Textiles and a minor concentration in Asian Studies. She is also a qualified yoga instructor, receiving her certification from the Sacred Fig in Bali. She has had a rich and diverse textile career that included six and a half years as a textile designer in Shanghai, China, where she worked for ICICLE, a Chinese eco-friendly fashion company. She is married to Bone Lhamo Kyap, who originates from Gansu Province, his hometown not far from Norden Camp. Laura now works independently as a designer and consultant under their company RIGPA ARTS. 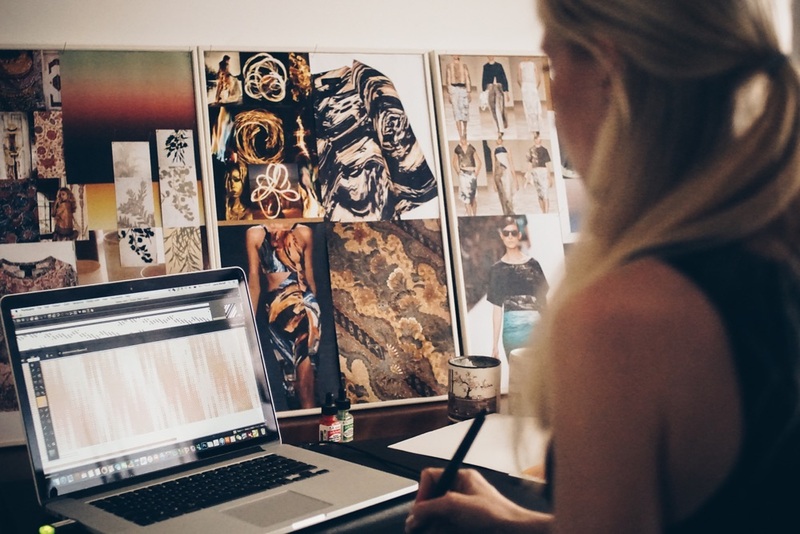 She continues to look for opportunities to collaborate with unique designers, as well as commercial companies that hold natural environment and sustainability at the heart of their mission and vision. 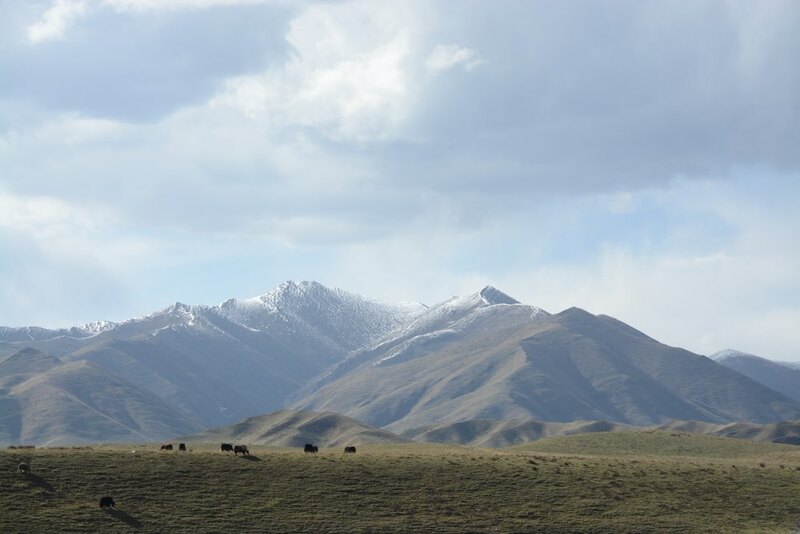 She is excited to be working together with Norlha Textiles to lead specialist textiles tours on the Tibetan Plateau. Dechen is the CEO and Co-Founder of Norlha. The concept behind Norlha was formulated and implemented by her mother, Kim Yeshi. Dechen and Kim are a close-knit team who work together seamlessly. Dechen is the product of two cultures, Tibetan and Euro/American. She has formed an ideal link between the Tibetan village community and the demands of the modern luxury market. Dechen graduated from Connecticut College, where she majored in Asian studies and film. She has lived in Amdo since 2005 when she began to research the economics and dynamics of the region. She single-handedly trained all of the staff and established the infrastructure for the Norlha workshop. On Days Two and Three, Dechen will lead us on an in-depth, behind the scene tour of Norlha's atelier and the local village of Zorge Ritoma. Through her knowledge and expertise, we will discover the secret behind the success, as well as the challenges and the intricacies of establishing a sustainable luxury brand in a remote Tibetan region. Staggered airport pickups from Xiahe Airport (XHE), Lanzhou Airport(LHW), and Lanzhou hotels. Settle in at camp, relax, and acclimatize to the altitude. Camp tour, orientation and welcome dinner. Lungta cooperative and experience the yak-based delicacies. Morning scenic drive to Zorge Ritoma. Lunch at Norlha's guest house. Afternoon tour and discussion with Dechen Yeshi. Evening hands-on felting activity with Norlha's exclusive yak fiber. Overnight stay and Norlha’s Guest House. Parting blessings and transfers to airports. Join our From Fiber To Fashion Textile Tour to experience the rich traditions of the Tibetan culture, which Norlha so passionately strives to preserve and feel first-hand the luxurious properties of the “khullu” yak fleece. We will witness the meticulous craftsmanship needed to processes the raw fiber, to spin and to weave and sew it into the finished garment in Norlha's atelier. After our welcome dinner and a good night's rest we will awake fresh on Day Two to enjoy a hearty breakfast and set off to the nearby town of Labrang, for a guided tour of Tashi Kyil Buddhist Monastery, the largest and most famous Buddhist monastery in the Amdo region. After lunch we will journey a few kilometers from the camp to meet local nomads at the Lungta cooperative. This is a ground-breaking enterprise founded by a group of farmers from Tsayig Spread over 100 hectares of rolling hills, the cooperative comprises 140 yaks, six mud colored cabins, a yak hair nomad tent and other tents staffed by twelve nomadic men and women. Modeled after the cheese-making tradition of France and Switzerland, the cooperative has a cheese cellar, which produces a good quality yak cheese as well as packaged butter for the local market. We will get a chance to try some of the delicacies before returning to Norden in the evening. On the morning of Day Three we will enjoy a scenic two and a half hour drive to Zorge Ritoma, the traditional Tibetan village that Norlha Textiles chose to make its home. After a nutritious lunch at Norlha's guest house, Dechen will lead us on a tour of Norlha's atelier, sharing with us her knowledge and experience since its opening in 2007. We will have the opportunity to shop at Norlha's Ritoma location that showcases their beautiful products that can be purchased at competitive prices. In the evening, one of Norlha’s staff will lead us in a hands-on felting activity with Norlha's exclusive yak fiber and we will spend our last night in the Norlha Guest House. On the last day, after a delicious and nourishing breakfast, we will offer each other our parting blessings before we depart for the airport. We will take with us the white katha ཁ་བཏགས་ scarf, as memory of our Fiber to Fashion experience and as a symbol of the purity and compassion of Tibetan hospitality. Xiahe Airport (GXH), a 30 minute drive to camp, accessible worldwide via Lhasa, Chengdu, and Xi'an (recommended site for Xiahe flight: www.ctrip.com). Lanzhou Airport (LHW), a 4.5 hour drive to camp, accessible worldwide via all major Chinese cities. A Chinese visa is generally required to enter China (please consult your country's embassy and China visa policy). No Tibet Autonomous Region (T.A.R.) special permit is needed to enter this region of the Tibetan Plateau.